Happy New Year lovely reader! I hope it’s been good to you so far. I was creating a page to summarise all my completed projects that have associated blog posts with information about them, which you can see here and I realised I’d done so much last year that I hadn’t shown you. Unfortunately I think it’s probably too late now to catch you up on everything but here’s a gallery of pictures that you might enjoy. If there is anything you would particularly like to hear more about, please leave me a comment and I’ll do my best to oblige! If you hover over the image it shows the caption which you can use to tell me what you think of them. I’m going to try to write more regularly this year as I do enjoy sharing my crafty projects with you. I’d love to tell you more about many of these projects but I feel like I’d never catch up. Please do drop me a line though if you would like to know more – I’ll happily write to request and add more photos if I have them! There are still more projects not pictured here. Hopefully I’ll get around to showing you them all at some point! Seeing everything laid out like this makes me realise how much I actually got done last year! 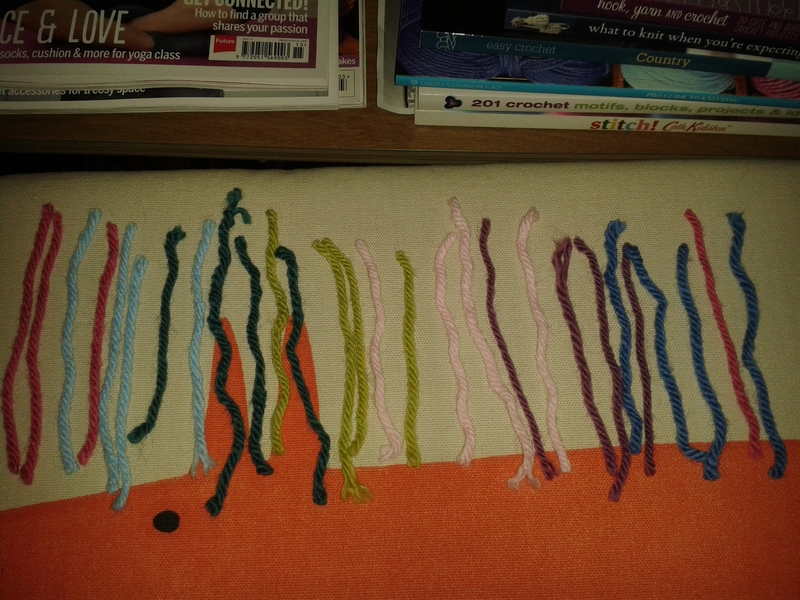 I hope to have lots more crafty projects to tell you about soon. 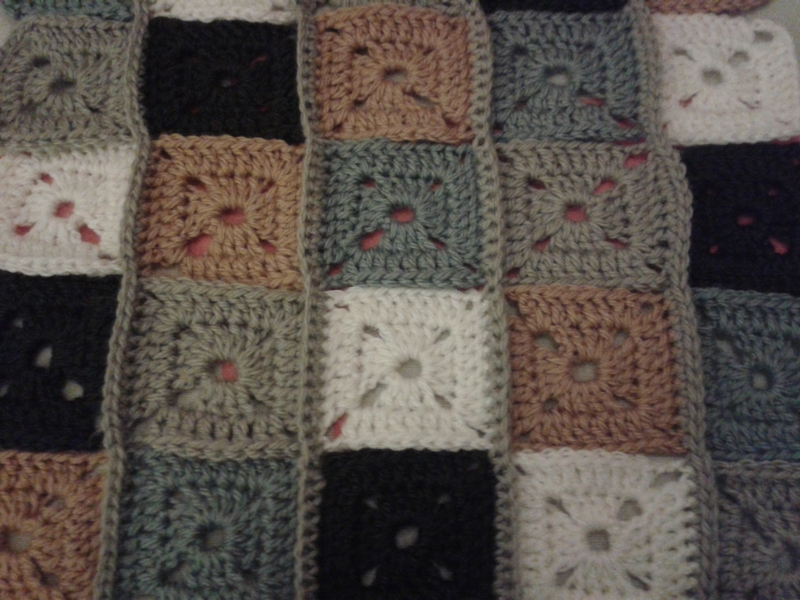 I’m already in the middle of a crochet blanket inspired by Lucy at Attic 24 blog and also have a new pair of socks on the go which are a pattern from an old issue of The Knitter. 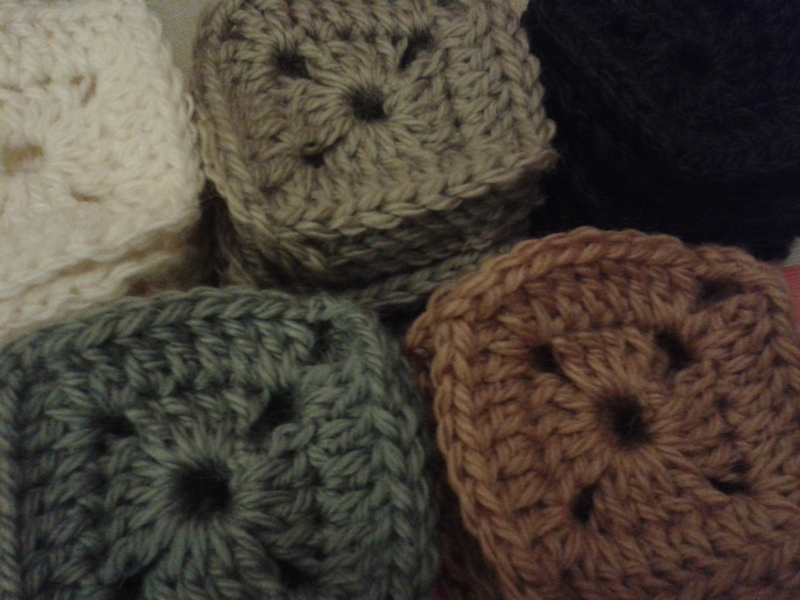 I have lots of plans for more projects for 2015 and I can’t wait to share my progress here with you! Best wishes for your crafty 2015 too! Hello lovely readers. I hope you are well. In my last post I mentioned how it was coming up to my birthday and that I was going to be really busy but would try to make sure I kept up with my blog posts. Well clearly I failed and three weeks have passed. I did have a great birthday though! I’ve just realised that I think it has got to a point where I was putting off writing a post because I felt like I ought to be catching you up with everything that I’ve been doing in the meantime and that felt like a big task. Then I realised that the whole point of writing this blog was to write for fun and to share the things I enjoy making and so to stress about it is ridiculous and I should just sit down and write! So here we are. It somehow got to nearly the end of February! The seemingly endless rain has seemingly started to run out of steam and I’m almost driving to and from work in day light again, all of which add up to a pretty cheery mood really. Work has been pretty stressful the last couple of weeks so I’ve been so grateful to have a house full of colourful flowers to come home to after my birthday and Valentines day and they have helped to keep me smiling! Would you like to see? The lighting in these photos is awful so please forgive me – blame spontaneity! I also have a ton of crafty projects on the go at the moment and that always gives me something exciting to come home to. 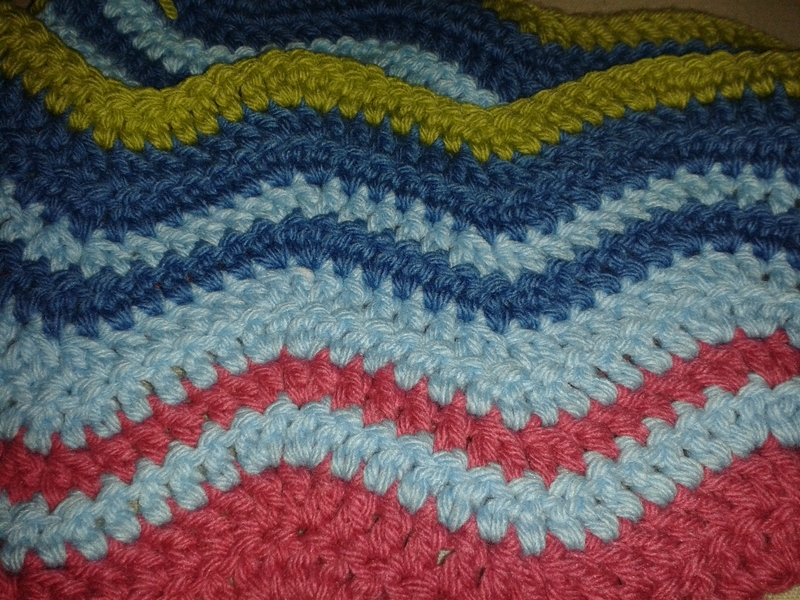 … inspired by Lucy at Attic 24 and her lovely crochet ripple blankets. 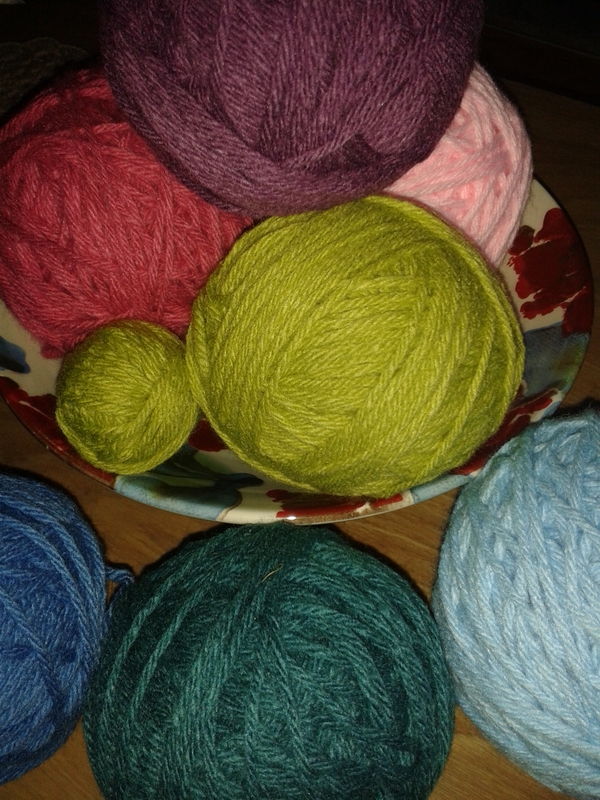 I wish I had the budget for all that lovely Cashmerino yarn she uses! 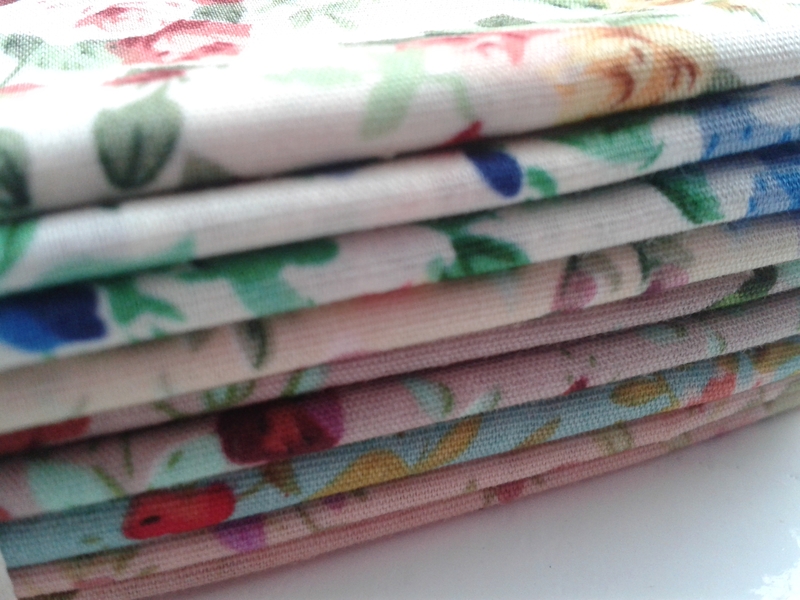 …and a pile of fat quarters I loved the look of but haven’t decided what to make them into yet! I got my sewing machine back from the servicing man last week and am determined to make more use of it although I keep procrastinating about a couple of projects I have in mind. I’m not that confident a sewer yet so I just need an evening when I’m in the mood to have a go and I’m going to sew up a storm – I’ll let you know how it all goes! And how exciting is it that the Great British Sewing Bee is back! Perfect timing to help get me motivated… Are you watching it?